We always strive to be a resource for our DVRT community. Sometimes it can be a challenge to keep up with all the different outlets that people have to communicate nowadays, but we are always looking for better strategies. Partly, we know that DVRT workouts can seem overwhelming with all the cool things we can do, but also because we are asking you to think so drastically different than most anyone in fitness. So, we better have a way to explain how our DVRT workouts are going to be better, not just different. With that in mind, I recently started taking questions through Instagram on my personal page (HERE), but will be doing so on our Ultimate Sandbag page too (HERE). When I opened up questions about our DVRT workouts there were some great ones that would immediately impact anyone’s training. Let’s check out a recap! Question 1: Do you pair a quad based exercise with a hamstring based one? Answer: To help answer this question better, I like to make sure we are speaking the same language of our workouts. In DVRT, and in most functional training based programs, we don’t look at muscle groups as much as movement patterns. There are 7 based movement patterns that we talk about for functional workouts. That’s a lot to take in for most people, especially if we go down the rabbit hole further. We can push and pull with the upper body horizontally or vertically, we can either create or resist rotation. So, it isn’t 100% black and white, but gives us a good foundation for great workouts. Why not focus on muscles? For one, this is just simply a more efficient way to train. I guarantee you will hit all the muscles you wanted and many you didn’t even know about with this approach. Second, trying to isolate muscles is just NOT how your body is designed to work. If we are trying to get as much from our workouts as possible it makes sense that we would train it as it was designed to perform. 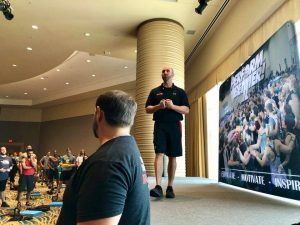 One more reason that fewer people speak about is that it is really hard to categorize exercises as JUST quad or hamstring if we are doing multi-joint exercises like squats, deadlifts, etc. For example, many people think that front loaded squats are more quad based. However, research has shown if we get deeper into the squat position it becomes just as much hamstrings and glutes. My point is that it isn’t really easy to break things down in this manner if we are using the movement pattern model. Okay, okay, back to the question. No, typically I won’t pair exercises that hit predominately the same region of the body (i.e. upper and upper or lower and lower). That creates a lot of fatigue quickly and takes away from the work we COULD achieve if we just pair more upper and lower based exercises. One easy way to make more effective workouts is to do this while thinking about the movement patterns. You won’t hit EVERY movement pattern into a workout, but it may look like something like this where the letters refer to the pairings and the numbers to their order. These simple ideas allow us to create diverse, but purposeful workouts that are fun and challenging. DVRT Master, Greg Perlaki, shows how we don’t need even a gym to accomplish all these fitness goals. I left his caption in so you could see him break down the movement patterns. There is a lot of freedom in Coach Dos’ MRT programming and one could easily use it exclusively. However, sometimes we do just use standard repetition and set protocols (i.e. 8-10 reps). 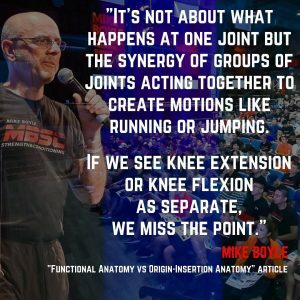 Sometimes this can be helpful when we are establishing technique or using more complex movements that don’t quite fit into the MRT model. We can still use the model from question one and as far as the how much weight to use or which progression to use it isn’t that difficult. If you are planning to perform let’s say 3 sets of 5-6 Bear Hug squats and the weight you are using allows you to get six for all three sets then you have two options. 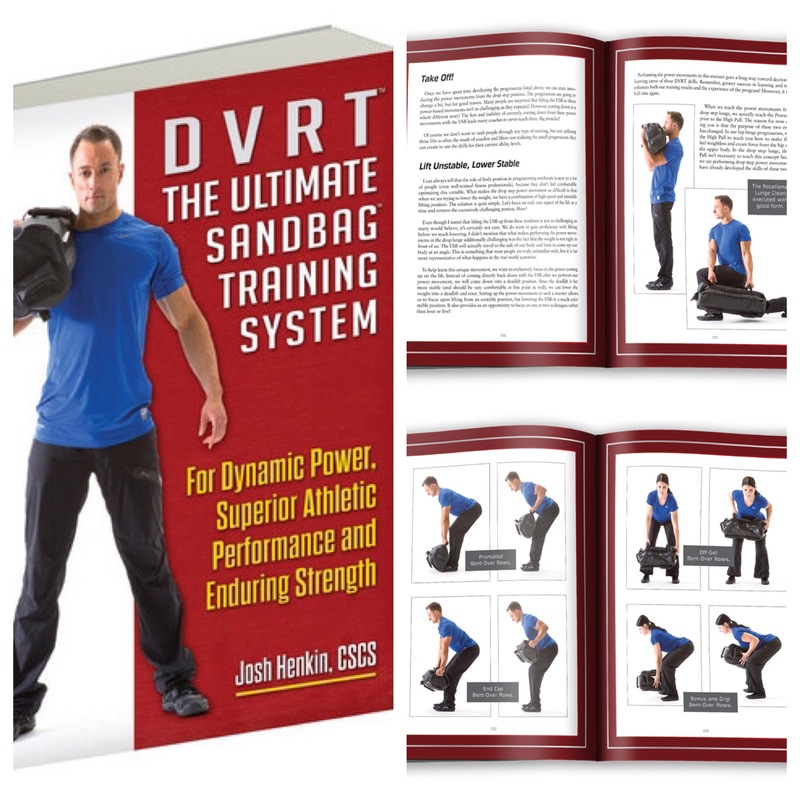 You can increase the weight of the Ultimate Sandbag you are using, or you can challenge your workouts by moving to a different variation such as Front Loaded squats and keep the same set and repetition scheme. Yea, it really is THAT easy! Question 3: When would you use a kettlebell instead of an Ultimate Sandbag or vice versa? Answer: Well, the answer to this question doesn’t really need to be specific to just these two tools. In any of our workouts we almost never just randomly throw a tool into the mix. We ask ourselves these types of questions…..
-What is the movement I want to perform? -What am I trying to train and teach via this level of movement? -What tool allows me to BEST accomplish this goal? This isn’t a very difficult series of questions, but man, it makes your workouts so much more thoughtful and purposeful. You gain so much more confidence because you know what you are trying to achieve and the process you have chosen makes so much more sense than “I like to lift stuff”. I expect an answer like that from almost a cartoon. Designing great workouts isn’t something that should be only for those that have read all the text books, a million blogs (heck that often makes people MORE confused! ), but something we can easily teach people that want to achieve great results how to do!